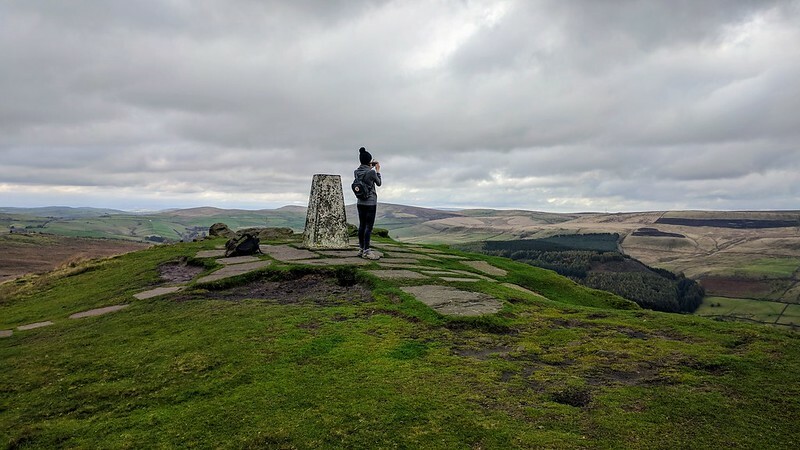 Back in the slightly warmer Autumn weather I took a little post-moving break and headed off to the Peak District for a week of exploring. Holidays aren't something I do very often at all and I'd only been to the Peak District once before on a school trip. Of course, that was a little more sights and attractions than countryside walks! Over the week we visited quite a few different places, all of which were as picturesque as you would expect and of course, nowhere near as flat as my usual East Anglia routes. Although I tried to write a post about the trip when I arrived home it wasn't really coming together as a holiday diary, so instead I thought I would share a little bit about some of my favourite places I visited over the week. The first place I have to mention is the Plattin Inn, a lovely upside-down restored cottage which was my home away from home for the week. 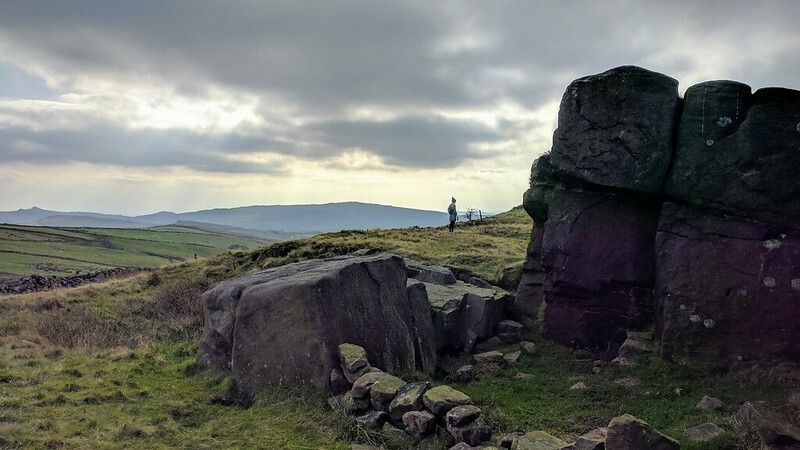 Due to it's location sitting between Buxton and Macclesfield it was a great base for getting to all of the places on my list, some within walking distance, others within reasonable driving distance and was easy to find from the main road. Complete with everything you need to make yourself feel right at home, the cottage has a nice balance of contemporary and traditional elements. There's no wi-fi at the inn, however they do provide leaflets and information on various attractions and walks, plus they even have their very own personalised ordnance survey map. You can find photographs of the interior and more information over on their website. 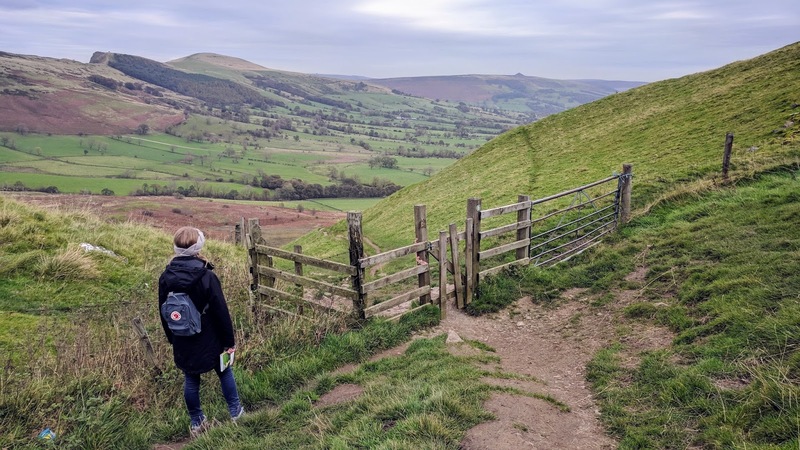 If you're not used to hills and are feeling up for a bit of a steep climb you'll enjoy the walk up to the top of Shutlingsloe, which I understand is one of the highest peaks in the county. The view from the top is amazing and completely worth the effort, although it was a little bit too windy to stay too long the day we visited! Apparently the highest village in the UK, the views walking around Flash were also amazing. My only complaint here would have to be the fact that the route we were trying to follow wasn't always the most clearly signposted and this was actually the only time got lost on the trip! With this in mind I'd recommend being set on your route before you go, but it's definitely worth the visit. I'd never visited anywhere like this mossy chasm before and it was definitely one of my favourite and most memorable places of the whole week. It's a difficult place to describe but I found it both fascinating and unique, and would highly recommend adding it to your to-do list if you're in the area. There were also some lovely - well signposted - walks in the surrounding area which are also worth exploring. Visiting Goyt Valley has to be another one of my favourite days of the trip. I had no idea what to expect from the short blurb in our walking book but when we arrived we discovered that the route really had a little bit of everything. Following our guide book's suggested route we got to see St Joseph's Shrine and the ruins of Errwood Hall which looked particularly eerie as this happened to be the day where the skies were red. I'd love to revisit and explore a different route in future. Whilst everything we did was based around walking routes we decided to make a stop on the guide book's Castleton route and visit one of several caverns; our only ticketed attraction of the week. The guided tour of Treak Cliff Cavern was full of interesting facts and lots of photo opportunities - I even made a sneaky purchase in the gift shop, picking myself up a small piece of the beautiful Ridley Vein Blue John stone.